News | Page 6 of 7 | Hancock Survey Associates Inc.
Hancock Associates, a leading local provider of land surveying, civil engineering and wetland science services, is proud to announce that Scott R. Jalbert, P.L.S. has been promoted to the position of Vice President. He has joined the company’s management team and will continue as Senior Project Manager based in both the Chelmsford and Danvers offices. The promotion is part of a strategic plan to position the firm for the next phase of growth. With over 20 years of experience in land surveying, Scott is responsible for the coordination of utility, residential, commercial and municipal projects including client contact and supervising field and office staff in the preparation of final plans and associated documents. He is also responsible for CAD and GPS operations and oversees the duration of various survey projects. Scott directs the field crew’s use of state-of-the-art survey instrumentation including Robotic Total Stations, G.P.S. and Prismless Total Stations. Scott’s land surveying experience includes boundary surveys, ALTA/NSPS title insurance surveys, construction layout projects, FEMA elevation certificates, deformation/settlement monitoring surveys and existing conditions plans. Scott holds a Certificate in Land Surveying from the University of Massachusetts, Lowell, is a licensed Professional Land Surveyor in Massachusetts and a member of the Massachusetts Association of Land Surveyors and Civil Engineers (MALSCE). He is MBTA Contractor Safety Trained and OSHA 40 Hour Hazardous Waste Operations Emergency Response (HAZWOPER) Certified. He lives in Salem, Massachusetts. Hancock Associates, a leading local provider of land surveying, civil engineering and wetland science services, proudly announces the hiring of Philip Pattison as Senior Project Manager in the firm’s Land Surveying Department. Phil has over 30 years of experience in land surveying with projects ranging from existing conditions/topography, construction, land boundary, ALTA/NSPS Land Title and highway surveys to research of public land title and utility records. Prior to joining Hancock Associates, he was a Survey Manager, Survey Technician, Survey Technician/Party Chief and Project Engineer/Surveyor at several prominent firms. Phil holds a B.S. in Civil Engineering from the University of Massachusetts Amherst. He has completed OSHA 10-Hour Training and is a Land Surveyor in Training (#311). He lives in Salem, Massachusetts. Hancock Associates, a leading local provider of land surveying, civil engineering and wetland science services, proudly announces the hiring of Ann McMenemy, PWS, NHCWS as Senior Wetland Scientist/Ecologist. She provides technical and regulatory expertise/permitting strategies for ecological constraints to projects in freshwater and coastal resources, rare species habitat and upland and degraded land. She is responsible for preparing and representing permit applications, moving a project from planning through construction. Plus she mentors Hancock’s wetland scientist staff on permitting oversight and regulatory agency negotiations. 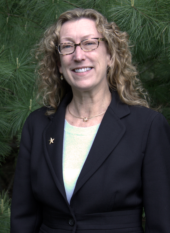 Ann has over 30 years of experience including on site selection studies, environmental impact statements, alternatives analysis, permitting strategies, negotiation of permits with regulators, mitigation design, construction oversight and post-construction compliance. She has worked on a wide range of projects such as power generation facility siting, electric transmission, natural gas pipelines, mining, hazardous waste remediation, highway/road construction, landfill closure, wastewater disposal, drinking water supply/filtration, commercial, industrial and residential development. Ann holds a B.S. in Plant and Soil Sciences from the University of Massachusetts. She is a Certified Professional Wetland Scientist (#807), New Hampshire Certified Wetland Scientist (#036) and a Registered Soil Scientist and Professional Member of the Society of Soil Scientists of Southern New England. She is also a member of the Society of Wetland Scientists, Massachusetts Association of Wetland Scientists and Southern Society of Soil Scientists of New England. Ann diligently served on several Conservation Commissions for over twenty years. She lives in Ipswich, Massachusetts. 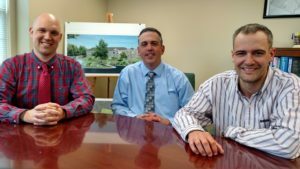 Hancock Associates, a leading local provider of land surveying, civil engineering and wetland science services, is proud to announce that Jason A. Ellis, PLS, Gregory G. Gould, PLS and Brian G. Geaudreau have been promoted to Associates at the firm. The promotions are part of a strategic plan to position the firm for the next phase of growth. Jason A. Ellis is a Project Manager with 20 years of experience in the Survey Division at Hancock Associates. He has a broad knowledge of the technical, legal aspects of surveying projects and is responsible for coordination of utility, residential, commercial and municipal projects including client contact, briefing field crews, conducting research, calculations and the preparation of final plans and associated documents. He is also responsible for CAD operations and G.P.S. automation for the duration of various survey projects. Jason has a BS in Geography and Regional Planning with a minor in Cartography from Westfield State College. He is a registered Professional Land Surveyor in Massachusetts and MBTA Contractor Safety Trained. He is a member of the Massachusetts Association of Land Surveyors and Civil Engineers (MALSCE) and has placed in several plan contests run by MALSCE. He is based in the Danvers office and lives in Peabody, Massachusetts. 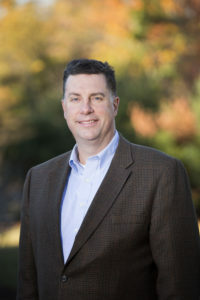 Gregory G. Gould, PLS is a Project Manager who has been with Hancock Associates for over 12 years. He has experience working on a wide range of surveying projects from both field and office perspectives including ANR and definitive subdivision plans, condominium, topographic, existing conditions, aerial photogrammetric control, GPS control, boundary surveys, construction layout, Massachusetts Land Court Surveys, ALTA/ACSM Land Title Surveys, Massachusetts Department of Transportation surveys, settlement and groundwater surveys, monitoring surveys, easements and lease plans and FEMA Elevation Certificates. 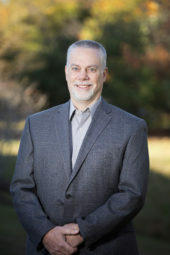 He has a BA in Geography with a concentration in Mapping Sciences from Clark University and holds a certificate in Land Surveying from the University of Massachusetts, Lowell. Greg is a registered Professional Land Surveyor in Massachusetts and completed OSHA 10-hour Construction Safety and Health and Exxon Mobil Loss Prevention System training. He is a member of the Massachusetts Association of Land Surveyors and Civil Engineers (MALSE). He is also a member of the New Hampshire Land Surveyors Association (NHLSA) and recent winner of the 2016 NHLSA plan contest. Greg is based in the Chelmsford office and lives in Fitchburg, Massachusetts. Brian G. Geaudreau is a Project Manager at Hancock Associates in the Civil Engineering Division. During his six years at the firm, he has built a proven track record successfully guiding projects through all aspects of land development from conceptual design to permitting, construction through as-built certification. Prior to joining Hancock Associates, he was a Civil Technician at Meisner Brem Corporation. He has a BS in Civil Engineering Technology from the University of Massachusetts, Lowell and is registered in Massachusetts as an Engineer in Training, Certified Soil Evaluator and Title 5 System Inspector. He is based in the Chelmsford office and lives in Chelmsford, Massachusetts. Hanc ock Associates, a leading local provider of land surveying, civil engineering and wetland science services, is proud to announce that exciting changes have positioned the firm for its next phase of growth. After 32 years as Principal, Owner and President of the firm, Donald I. Desmond, Jr. transitioned to General Manager and Wayne C. Jalbert ascended to President. The move was part of the firm’s succession planning process. 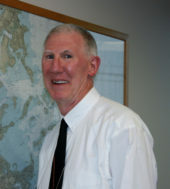 Wayne, a University of Lowell graduate in Civil Engineering, is a professional land surveyor and has been with Hancock Associates over 30 years. He maintains a broad knowledge of the technical, legal and logistical aspects of managing all areas of surveying and engineering projects. In addition to overseeing the day-to-day operations of the firm, Wayne is responsible for overseeing the survey division, encompassing boundary, topographic and ALTA surveys as well as G.P.S. and construction layout services.